Adverse events are commonly called “never events” because they are never supposed to happen to patients in hospitals. They must cause serious harm or death to qualify as reportable adverse events. The number appears to be climbing over the first five years that state law has mandated public reporting, but experts say the increase could be attributed to changes in the definition of pressure sores and increased reporting. A total of 42 such events were reported in the state’s 26 hospitals and ambulatory surgery centers in 2010, and 73 in 2014, according to the 2014 Adverse Event Report compiled by the state Bureau of Licensing and Certification, the most recent year available. Michael Fleming, director of the Bureau of Licensing and Certification, said the most important part of the reporting program is the opportunity for different hospitals to learn from each other’s mistakes. “I believe everybody is engaged to pull these numbers down to as low as possible, but in order to do that you want to encourage full transparency so that people can figure out why these things are happening,” Fleming said. To that end, this year hospital officials had input into the final adverse event report. Hospital participation made for a more well-rounded explanation of events, Fleming said. For instance, hospitals included the number of beds and surgeries performed to give context to the numbers. It will take another year of reporting to see if the increase in numbers requires further investigation, Fleming said. Some of the increase could be the result of a better understanding on the part of hospitals about what to report, he said. Knowing how many beds in a hospital and the number of surgeries performed is helpful to show why one hospital may report more adverse events than others. He pointed to Dartmouth-Hitchcock Medical Center, the hospital with the most beds and surgeries, which also had the most surgical errors – 11 of them – in the last three years of the report. 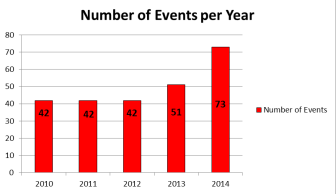 According to the 2014 report, there were three major areas responsible for 83 percent of the events reported. Falls accounted for 34 percent, pressure ulcers 30 percent and surgical events for 19 percent. Elliot Hospital in Manchester had the most falls in 2013 and 2014 with a total of nine, the report said. “(I)t is important that we focus on these and address what the NH hospitals are doing to prevent them from occurring,” the report noted. 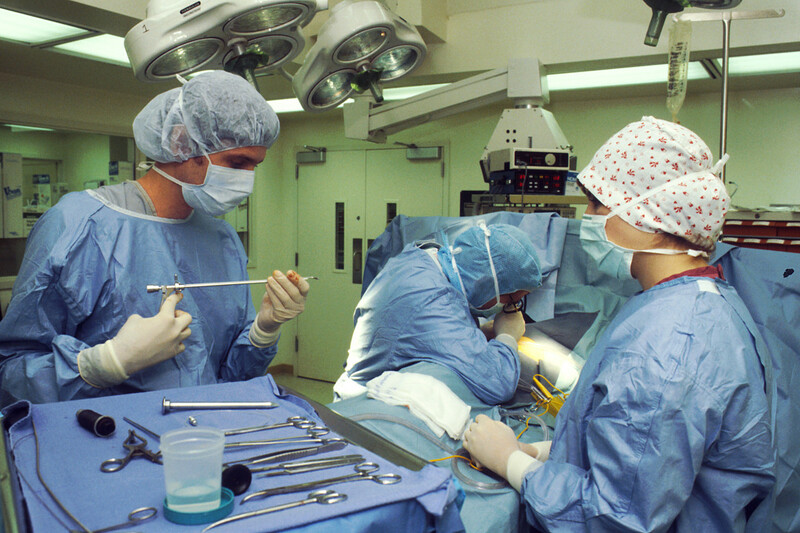 The report said surgical errors can be reduced or eliminated with “stronger leadership by surgeons in the final team time out process which occurs just prior to incision, by having the surgeon ask each team member to introduce themselves and their role, review unique patient concerns, and end with a request to everyone involved to speak up if they have any concerns at any point during the procedure. Fleming believes the state’s hospital and acute care facilities are reporting as they should, although he is in the process of investigating a complaint against a hospital that may not have been in compliance. 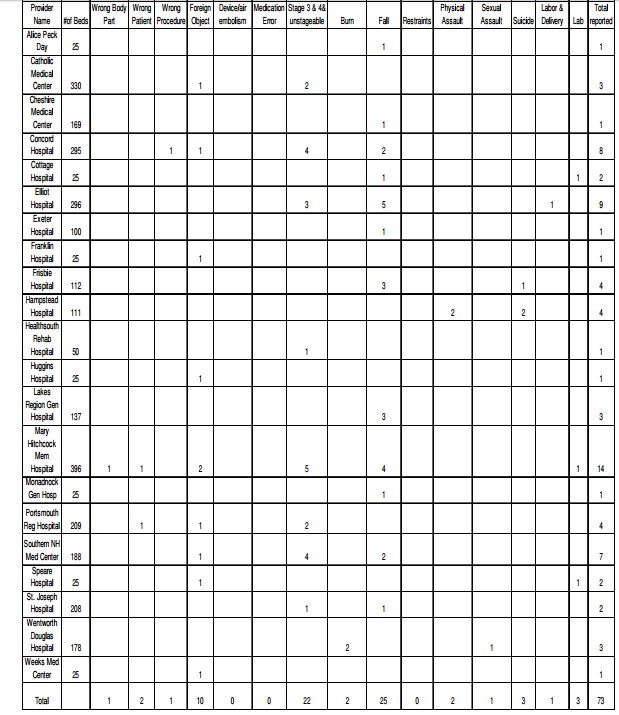 The ambulatory surgery centers reported no adverse events for 2014. He wouldn’t identify the hospital because of the investigation, but said hospitals face a $2,000 fine if they fail to report and his bureau audits 10 percent of complaints each year. After reporting an incident, the hospital is required to perform a root cause analysis of and initiate a corrective plan. A 2013 study by John T. James, Ph.D., in the Journal of Patient Safety estimated that 440,000 people die each year from adverse events in hospitals. “The epidemic of patient harm in hospitals must be taken more seriously if it is to be curtailed,” James reported. Anne Diefendorf, vice president of patient safety and quality at the Foundation for Healthy Communities, a sister organization of the New Hampshire Hospital Association, spoke to InDepthNH.org on behalf of the state’s hospitals. Progress is being made as hospitals share information with each other and more events might be picked up as a result, she said. “In terms of falls and pressure ulcers across the board, people are trying to be more robust in terms of their surveillance …,” Diefendorf said. Overall, the major focus of the hospitals right now is to find ways to engage more with patients and their families, Diefendorf said. Lisa McGiffert, director of the Safe Patient Project for Consumer Reports, said it is important for people to understand that reportable adverse events make up only a portion of hospital errors. They don’t include, for instance, people harmed by hospital acquired infections. And they do not include the many falls or other events that do not result in death or serious injury. McGiffert is skeptical that all hospitals report as required. The adverse events just shouldn’t happen at all, she said. “They are all preventable,” McGiffert said. The states that track adverse events have a host of different systems, events and protocols. Some report publicly by hospital such as New Hampshire. Others provide only aggregate information. State Rep. Cindy Rosenwald, D-Nashua, co-sponsored the original legislation that mandates hospitals report adverse events. She noted some of the areas of increase, especially in the fall and pressure sore categories. “They have made a few changes to adverse events reporting and that has driven up some of the numbers,” said Rosenwald, who is the House deputy democratic leader. Still, she would like to see them lower, but believes overall New Hampshire hospitals provide excellent care. Rosenwald believes the mandating law is working well and helping hospitals to focus on making needed improvements to eliminate them. She submitted legislation this session to extend the New Hampshire Health Care Quality Assurance Commission for five more years. The commission is charged with reviewing and analyzing quality of care and patient safety issues in hospitals such as the adverse events at hospitals and ambulatory surgery centers. The commission allows hospital officials to meet and share confidential information about never events and near misses to seek out and share solutions, she said. “Providers can get together in confidence to discuss things that almost happened and how they discovered how to avoid them,” Rosenwald said, adding there is a public member on the commission as well. Fleming said he doesn’t believe any of the 2014 adverse event errors in New Hampshire resulted in death, but the detailed investigations and remedial plans are not made public. “Most are not fatal, but they are all serious,” Fleming said. “Again the whole idea is to get the number down really, really low and have everybody looking at their systems to learn from other people’s mistakes,” Fleming said. Coming up with an easy to understand definition of “serious” event proved challenging at first, he said. “We talked with people at the hospitals and said, ‘If it was your mom that this happened to, would you consider it to be serious?’ That actually provided clarity,” Fleming said. Fleming said patients are always told if they are the victim of any error in the hospital, not just serious ones. Family members must be told if the patient dies as a result, he said. The state has created a separate database of events that hospitals report out of an abundance of caution that don’t meet the criteria of an adverse event, Fleming said. “At least we know the hospital was being transparent,” he said. “I personally think the care in New Hampshire hospitals is very strong. Are there improvements that every hospital can make every day? Absolutely,” Fleming said. The serious events that hospitals and ambulatory surgery centers are required to report are listed in the report. 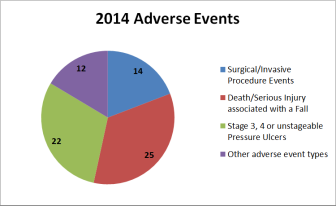 There were no adverse events reported in 2014 in ambulatory surgery centers.